The Butterfly Circus is one of the most inspiring videos I have ever seen. It reflects the beliefs of many people who think they are only caterpillars, and they simply aren’t aware that they can become butterflies. People tend to only think about their limitations and their circumstances, so they can’t see their real potential. It is this potential that comes out when you change your defeatist thoughts and start listening to the wise master inside of each of us. Most of the obstacles we have in our lives come from our own limiting thoughts which prevent us from flying. But when we start listening to our real spirit, then we remenber we were meant to be more than what we used to believe. Then, the magic begins and we transform ourselves in cocoons, and eventually in a beautiful butterflies. This is what The Butterfly Circus is all about. Have some paper tissues at hand, and after you have watched both parts of the movie, I recommend you visit NICK VUJICIC’s website at http://www.lifewithoutlimbs.org. Nick has the gift to inspire everyone that sees his story or attends his speaking engagements. If there is a time when you feel like you can’t take it or you can’t do something, watch these videos. They will remind you of your greatness and the power within you. They will remind you that you can fall down a thousand times, but you can rise a thousand more. For me Nick is one of the best examples of human greatness and a great inspiration in overcoming extraordinary obstacles. In other words, he is a great reminder that we came to this world to fly. When we learned to walk, we fell down many times. But that did not stop us from walking. We kept walking, and never doubted that we would get to our goal. This process, which is natural in human beings (and also in animals), is something we start to lose as we begin to pay attention to others’ opinions—our parents, friends, brothers and sisters, and teachers. Most of these opinions have a good intention, but as we begin to believe them, they limit us. Eventually we learn to reprimand ourselves and to condemn many of our own actions. This feeling is only enhanced when others don’t like what we do, especially when our parents, teachers, and friends get angry with our behavior. This self doubt occurs when we listen to our ego more than to our instincts or to our true self. If we can recreate this process and learn from our mistakes,we will be free of the anger we have against ourselves. Even though it is not easy, it is simple; every time you make a mistake recognize, assume the consequences, and move on. Don’t dwell on it because this will stop you from learning. Every time we learn from our mistakes, we grow– just as we did when we were children. When we learn from our mistakes, then we are on the path to greatness. Because from that moment problems and mistakes become opportunities to learn from. In the end I believe this is one of the reasons we came here… to learn. 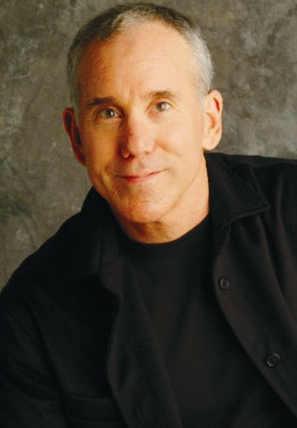 So next time you make a mistake, remember Dan Millman’s phrase and learn from the opportunity that is in front of you. Did you ever think about the possibility that you could be Never Mad Again? Did you ever think it was possible? I know anger is a choice. We just don’t know we have it.We have learned that anger is a natural reaction in humans. We are even taught that we “have ” to control anger, because an angry reaction hurts others and society doesn’t like those reactions. We don’t have to control anger. Instead, what about getting to a point where we have no reasons to get angry in the first place? If we don’t have a reason to get angry, then we don’t have to control anger. We believe we get angry because there is something out there that we don’t like, and that is the reason we are mad. But the same situation might not bother my neighbor, or my sister or other people; this means it is not the situation, but the thoughts we have about that situation. We have the power to control our thoughts. We have the power to control what we think of any situation. Therefore we have control over anger. And believe it is possible to be Never Mad Again.